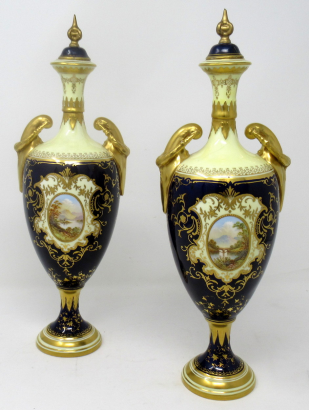 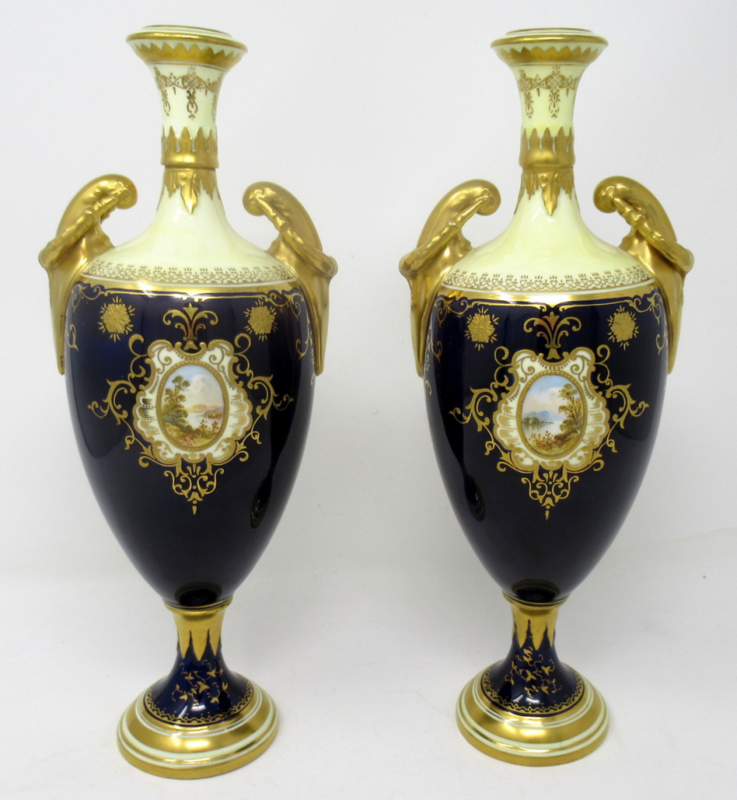 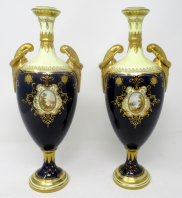 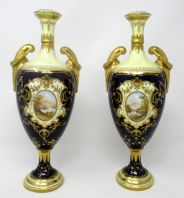 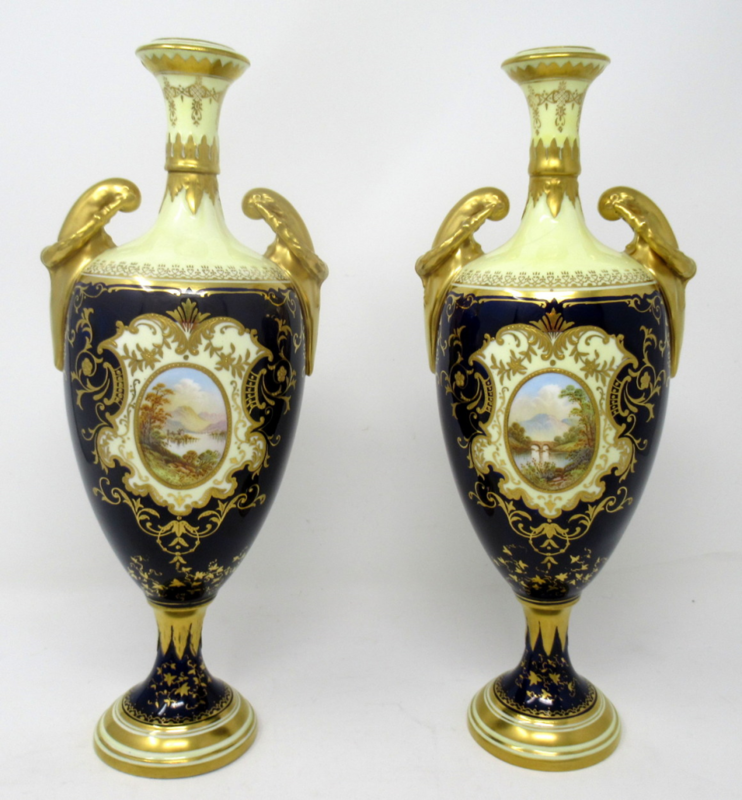 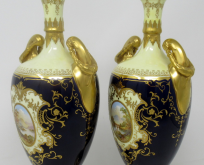 Fine Pair of Hand Painted Porcelain Coalport Urns Vases of traditional form with lavish gilded twin handles modelled as oval wreaths, Circa last quarter of the Nineteenth Century. 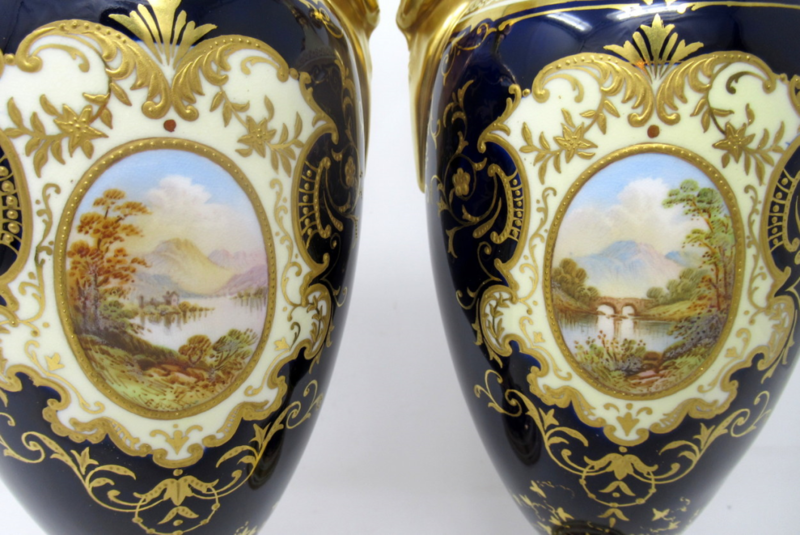 Each vase with a central hand painted Landscape Scene, one is of Weir Bridge in Killarney National Park County Kerry Ireland, the other is a view of the famous Killarney Lakes, each rear view with a similar smaller view, on a cobalt blue ground with lavish raised gilding throughout. Height: 13" (33cm). 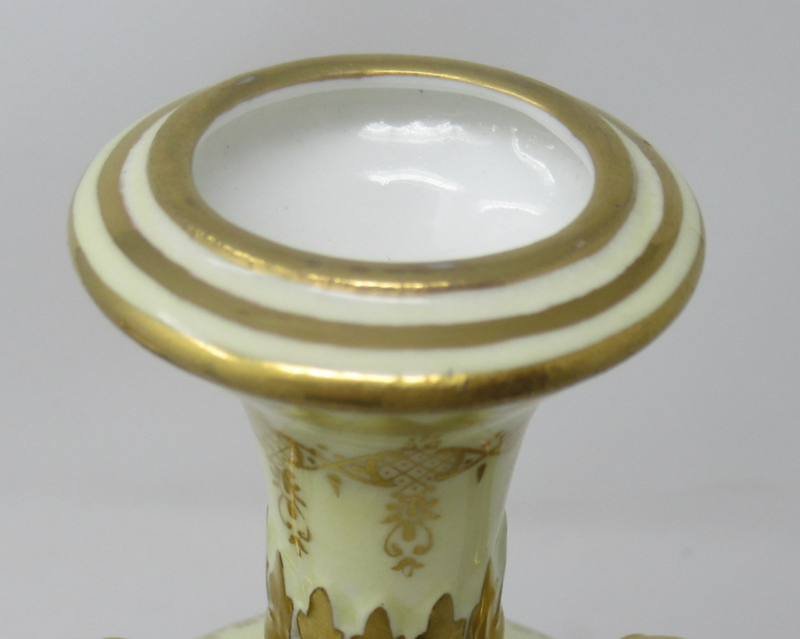 Width: (at widest) 4.75" (12cm). 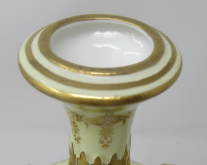 Diameter: (base) 2.75” (7cm).